Fusion Corporate Partners are pleased to announce our third deal of 2012. The sale of international grain trading conferences, Global Grain Geneva and Global Grain Asia to Euromoney Institutional Investor PLC. Global Grain Geneva is the world’s leading event for international grain traders. It has been held every November since 2003 in Geneva, the main European location for the trading of grain, oilseeds and soft commodities. The event has grown every year since its launch and in 2011 attracted nearly 1,000 delegates from over 50 countries. Euromoney is acquiring all the issued share capital of Global Commodities Group Sàrl whose sole asset is Global Grain Geneva. 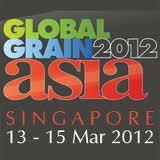 Global Grain Asia is a new event for grain and oilseed trade and industry professionals operating in Asia-Pacific. It launches in March in Singapore. Euromoney is acquiring 50% of the issued share capital of GGA Pte. Ltd whose sole asset is Global Grain Asia. Euromoney has an option to acquire the remaining 50% of GGA Pte. Ltd in 2014. The prospects for grain trading are good. Agricultural prices move over long cycles and prices today are under-pinned by a rising global population, greater affluence especially in Asia where meat consumption is growing rapidly (for instance, every pound of beef requires seven pounds of grain to produce), and less farmland: by the year 2020, the farmland available per person is forecast by the Food & Agricultural Organization of the United Nations to be less than half that of 1950. Global Grain Geneva has been organized by James Dunsterville, a commodity trader in Geneva who also publishes the respected grain price newsletter AgriNews (www.agrinews.ch) and by Andrew Osborne, an event and conference specialist. Global Grain Asia was recently set up by G Seelan, Managing Director, and Ms Sarasija Raman, Executive Director, of the Centre for Management Technology (CMT) in Singapore, and Messrs. Dunsterville and Osborne. All four of them expect to remain involved in the business until at least 2014.